Lite'n Foamy Citrus Fresh is a biobased foaming hand, hair and body wash, formulated with ingredients made from renewable resources. This foaming product was designed to be used with Spartan's Lite'n Foamy Dispensers. 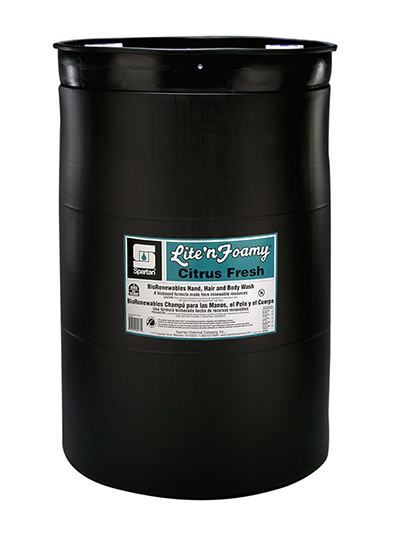 Lite'n Foamy Citrus Fresh is green in color and has a refreshing citrus fragrance.